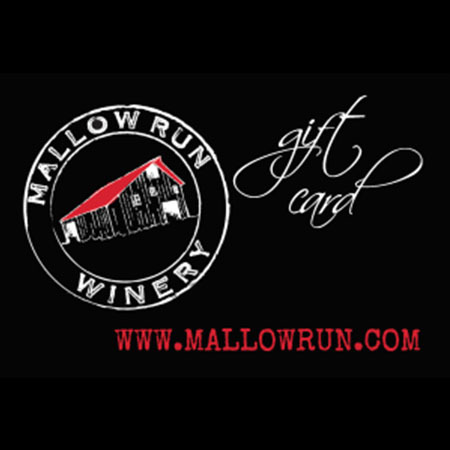 Mallow Run Gift Cards make the perfect gift for the Indiana wine lover in your life! We are happy to mail them directly to the lucky recipient. They are available for purchase online, over the phone (317-422-1556) or in the tasting room. Gift cards may only be redeemed at Mallow Run Winery. Gift cards may not be used for online purchases (class registrations, tickets, etc. ), for purchases at off-site events or festivals, and are not valid at The Sycamore at Mallow Run.